In Vietnamese and Chinese the word for ‘Dragon’ is ‘Long’. It shows up in lots of place names as well as fruits and fish. Halong Bay: Decending Dragon (beware, dragons below). 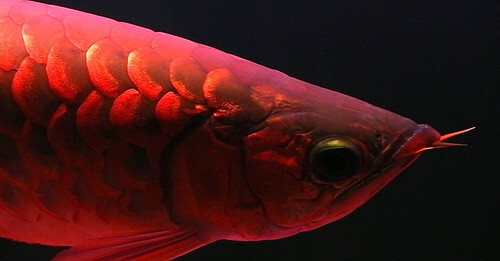 Red dragonfish inside an aquarium in our hotel in Saigon. I first had dragon fruit in Vietnam served alongside with watermelon, a great colour combination. 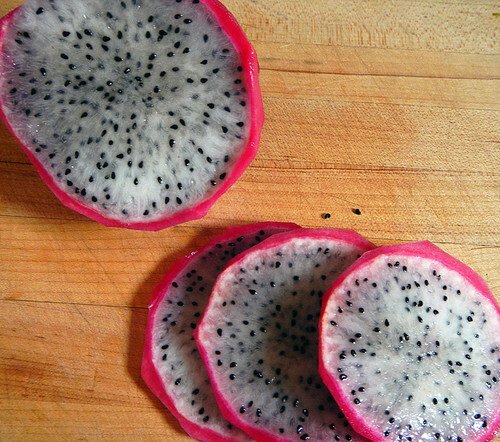 I since seen them in the local Chinese markets labelled with characters that translated as Fire Dragon Fruit. 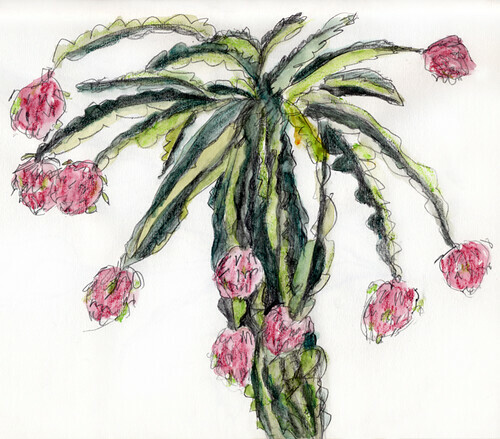 Sketch of a dragon fruit tree which is a type of flowering orchid cactus. I saw a plantation of them from the bus in Vietnam but didn’t manage to get a photo. 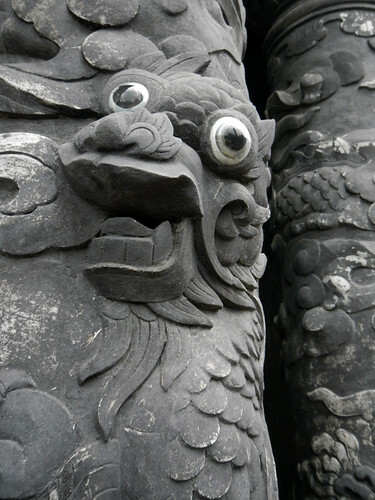 They look as if they might have belonged to these googly-eyed dragons at a Royal Tomb in Hue. Chinese character for dragon: the full form shows flesh (body) topped by ‘to stand’ with ‘wings’ at the side. Dragons and dinosaurs seem to an almost universal phenomenon making me think they perhaps they did exist at some point and more than just in people’s head. Your dinosaur skeleton thought is certainly a great explanation! About the fruit – we can buy it at local supermarkets. Not bad, but not as cheap as oranges just now. They don’t taste as good as oranges either. But they sure were pretty, especially with the inedible pink rind left on.